When I saw these awesome animals heads I laughed out loud! They really are a fun new take on the ancient art of mounting real animal heads on the wall. Back in the day hunters immortalised their trophy kills by stuffing them and mounting their heads on the wall. Talk about eerie home decoration. 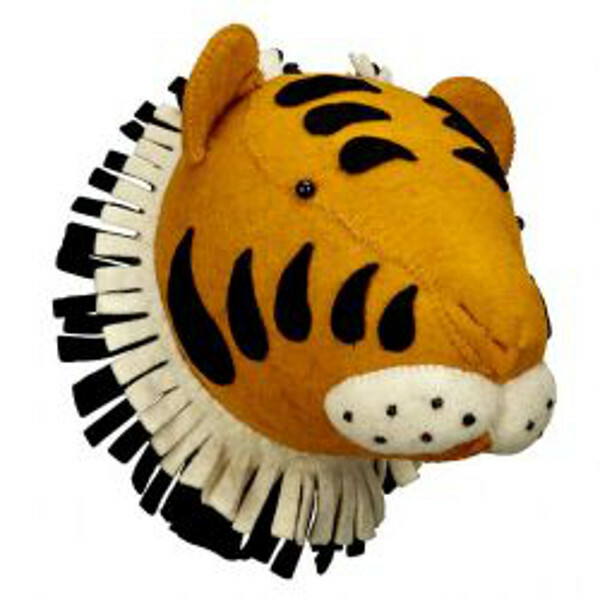 Kids these days will remember none of that nonsense, so are sure to find these Safari Animal Heads from UK store I Love Retro lots of fun. 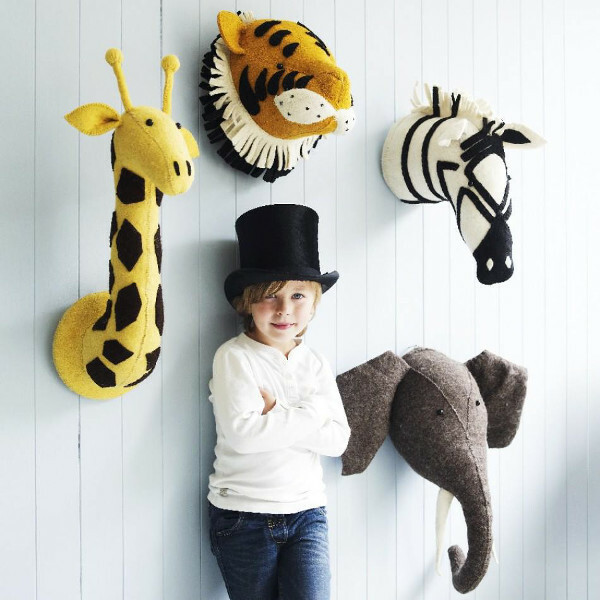 Made of felt, these decorative animal heads are will instantly inject some zany fun into your child’s room. 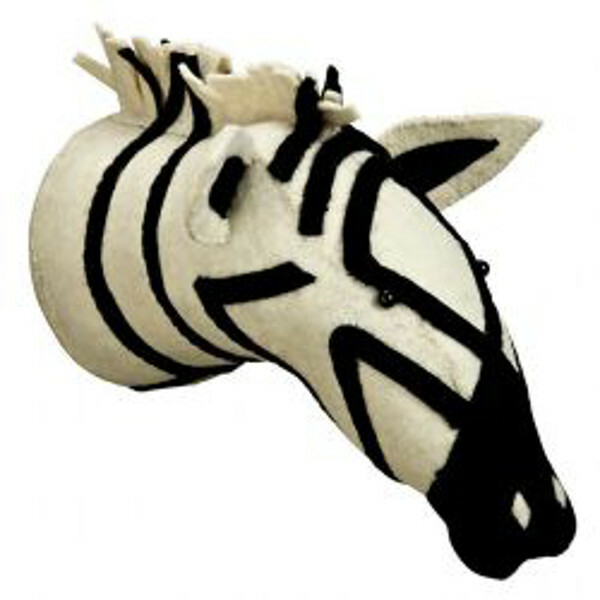 Choose from the zebra, elephant, tiger or giraffe. Each are $128 (not including shipping). Faux taxidermy is now tres chic and can be found in uber-trendy cafes and homewares stores. Wall mounts can be found in a variety of media including paper mache, cardboard and resin. Unfortunately I Love Retro does not ship outside of the UK. 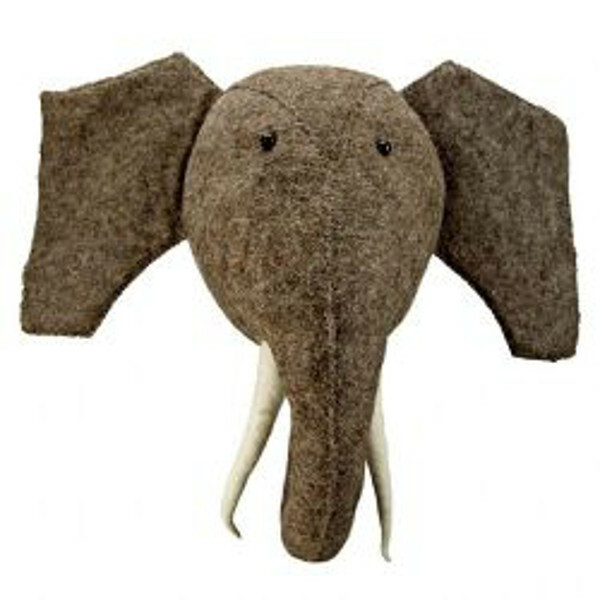 Fingers crossed you have a friend over there who won’t mind wrapping up a toy animal head and sending it to your doorstep! If foxes and bears are more your thing, check our previous posts on animal heads from Bodie and Fou.